We are deeply troubled by recent fighting and violence that is endangering the Armenian community in Kessab, Syria, and has forced many to flee. There are far too many innocent civilians suffering as a result of the war. All civilians, as well as their places of worship, must be protected. As we have said throughout this conflict, we deplore continued threats against Christians and other minorities in Syria. And as you may have seen from the readout of President Obama’s conversation with Pope Francis yesterday, they discussed among other things the plight of minorities, especially Christians, inside Syria today. We have seen some statements by groups fighting in Kessab saying they will not target civilians and will respect minorities and holy places. We expect those commitments to be upheld. The United States will continue its steadfast support to those affected by violence in Syria and throughout the region, including Syrian Armenians. We have long had concerns about the threat posed by violent extremists, and this latest threat to the Armenian community in Syria only underscores this further. The statement comes after reports of Islamic extremists entering Syria from Turkey laying siege to the predominantly Christian Armenian city of Kessab, near the coastal city of Latakia in northwestern Syria. Over 650 Armenian families have fled the city, with Armenian homes, businesses and religious sanctuaries being overrun and looted, according to the reports. On Thursday, the Armenian Assembly of America’s executive director, Bryan Ardouny, and Archbishop Vicken Aykazian, Diocesan Legate of the Armenian Church of America (Eastern), met with officials at the U.S. Department of State. The meeting came just days after the Assembly sent a pointed letter to President Barack Obama urging him to take steps to safeguard the Armenians of Kessab. On Wednesday, the Assembly publicly condemned the assault on Kessab and remains alarmed at reports that Al-Qaeda affiliated Islamic extremists crossed into Syria via NATO ally Turkey, resulting in the displacement of 2,000 people and the confiscation and looting of Armenian homes, businesses and religious sanctuaries. Also, this week the Turkish government blocked access to Twitter and YouTube just days before the March 30th local elections that are largely seen as a referendum on Prime Minister Erdogan and his ruling AKP party. Erdogan vowed to “eradicate Twitter” at a recent campaign rally. Anti-government protests have plagued Turkey since the last summer’s Gezi Park protests that erupted after the Turkish government announced plans to demolish a park in the city center in order to construct a shopping mall. In recent months, allegations surrounding a government graft probe, and the subsequent dismissal of officials carrying out the probe by AKP party elite, has led to a wide spread revolt against the increasingly autocratic Prime Minister Erdogan throughout the country of 74 Million people. According to the most recent leaked audio tape on YouTube that led to the government censorship, senior Turkish government officials were planning a provocative event inside Syria in order to justify Turkish military intervention. It is currently unknown if the assault on Kessab is related to the recent downing of a Syrian fighter jet, which occurred hours before the terrorist siege on Kessab, Turkish government plans for Syria, and the upcoming Turkish elections. QUESTION: Yes. Regarding this statement that you made about the Syrian Armenians? MS. HARF: It’s an ongoing issue, certainly, that we’re concerned about. MS. HARF: But there – as I noted in my statement, though, there has been some recent fighting and an increase in violence, which is why we wanted to note it specifically today. MS. HARF: Well, we are – I don’t know if you’re referring to a specific case – we’re certainly following the situation for Armenians inside Syria for all minorities, including Christians, and know that violent extremists such as ISIL have targeted them, among many people, but we’re particularly concerned about these minority communities and want to make sure that their rights are protected. QUESTION: Beside being concerned – because let me be specific about – are you in touch with any of the governments, including the Turkey – Turkish Government or other UN organization to figure out exactly – because it’s – some of – there is a deportation of people taking place in the last week, which is, like, starting from last week till now. Are these – anything is going on in that regard? MS. HARF: I can check and see who we’re talking to. Obviously, we talk to a host of countries in the region, Turkey and others, about a wide range of issues, but I can check on that specifically. QUESTION: So you don’t have any – your – what you have is just, like, observation of what’s going on, or you have information? MS. HARF: Well, I think we have both, right. We’ve seen reports, as I said – recent fighting, violence against the Syrian Armenian communities. We see the reports coming out of there. Obviously, we talk – we try to get as much information from the ground as possible, as we do in all places in Syria, but it’s hard to get. But clearly, there have been some very troubling trends lately. QUESTION: Because according to some reports, that those people were Jabhat al-Nusrah people – I’m not sure if you mentioned them in the statement or not. MS. HARF: Well, I was – what I’m talking about is extremist groups like ISIL attacking innocent civilians – in this case, the Syrian Armenian community, a minority community, as they have with other minority communities, Christian communities, and others inside Syria. So this is – what I’m talking about is those kinds of attacks. I know there are a lot of dynamics broadly here in the Syrian conflict, but I was speaking to one specific dynamic. MS. HARF: They discussed it, mm-hmm. QUESTION: — him, the issue, maybe I’m not – to be more accurate – is – this issue is raised with the Syrian opposition people? Because it’s like sometimes they don’t – according to what I heard last week from the Ambassador Ford that, definitely, they are usually avoiding to condemn publicly what’s going on by Islamic groups or a Jihadist group in Syria. MS. HARF: Well, let’s be clear when we’re talking about the opposition, to be very clear that what – the violence I’m talking about is being perpetrated by groups like ISIL, so not the moderate opposition, not the folks we work with repeatedly and consistently on things inside Syria. I think that the opposition has been very clear in condemning extremism and saying they will fight extremism inside Syria and that that’s something they’re committed to, absolutely. They’ve said that for many, many months. QUESTION: According to reports in Turkey, the Foreign Minister Mr. Davutoglu planned a provocative act inside Syria so Turkey has the excuse to invade Syria. Do you want to comment on this? MS. HARF: Are you referring to an alleged phone conversation? MS. HARF: As I said yesterday, I don’t have anything for you on alleged calls or conversations that are out there among Turkish officials. MS. HARF: It’s not for me to comment. QUESTION: But Mr. Davutoglu said that the tape is genuine. MS. HARF: Again, not for me to comment on those allegations that are out there. 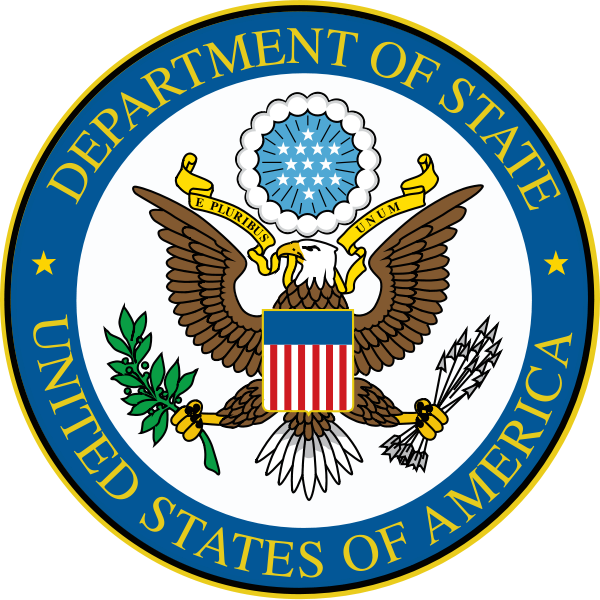 The entire transcript of yesterdays U.S. Department of State daily press briefing is available here. This story originally appeared on AAANewsBlog.